Infinix Note 5 VS Xiaomi Redmi 5 Plus: how affordable is the Infinix Note 5? 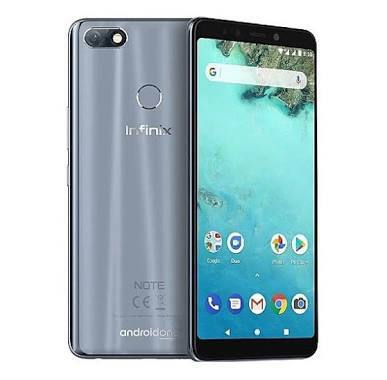 Infinix Mobility has released the latest smartphone from their Note series. The new Infinix Note 5 comes with a lot of expectations, as the Hong Kong phone maker tries to make amends for last year’s Infinix Note 4. The Infinix Note 4 saw a lot of critics and mixed reviews from its users. People actually preferred the Infinix Note 3 to the Note 4. Well, Infinix Note 5 is finally here and it features Android Oreo operating system based on Android One initiative. Infinix practically ditched their XOS user interface to give users a true Android operating system experience. What better to test the Infinix Note 5 than against its competitors in the market. When it comes to budget or affordable smartphones, Chinese phone maker Xiaomi is currently leading the pack. In this article, we’ll be comparing the Infinix Note 5 with the Xiaomi Redmi 5 Plus. The Xiaomi Redmi 5 Plus is globally known as Xiaomi Redmi Note 5 and also has a smaller variant called Redmi 5. The back is where you find the difference as they both feature a bezel-less display. The Xiaomi Redmi 5 Plus features a metallic back with plastic at the top and bottom. The plastic and metallic back are divided by an antenna line. At the top center is where you see the fingerprint sensor, LED flash and single rear camera. While on the Infinix Note 5 is a plastic unibody with layers of shinning glass that reflects light. At the top center is a rear mounted fingerprint sensor with the Infinix brand name below it. Moving to the top left is the single rear camera with LED flash. The Xiaomi Redmi 5 Plus measures 8.1 mm in thickness and weighs 180 grams while the Infinix Note 5 weighs 173 grams with 8.4mm thick. 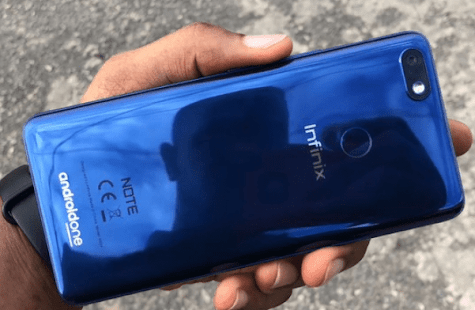 The body colors available for the Infinix Note 5 are Black, Blue and Grey colors. While the Black, Gold, Blue and Rose Gold body colors are available for the Redmi 5 Plus. Their display features similar specs, which makes them competitors. The screen technology available on both phones is an IPS LCD panel. The panel measures 6.0 inch on the Infinix Note 5. And measures 5.99 inches for the Xiaomi Redmi 5 Plus. Their display features an 18:9 aspect ratio with 1080 x 2160 pixels resolution and 403 PPI density. Both the Infinix Note 5 and Xiaomi Redmi 5 Plus features a 12MP rear camera with AI smart. The camera of the Infinix Note 5 packs a f/2.0 aperture with LED flash. Whereas, that of the Redmi 5 Plus packs a f/2.2 aperture with dual-LED dual-tone flash. Crossing over to the front, the Note 5 is equipped with a 16MP shooter. While the Xiaomi Redmi 5 Plus comes with a 5MP shooter. The Xiaomi Redmi 5 Plus is being powered by Qualcomm Snapdragon 625 chip with an Adreno 506 graphics processing unit and Octa-core processor clocked at 2.0GHz. Whereas, the Infinix Note 5 is being powered by MediaTek Helio P23 chip with an ARM Mali-G71 MP2 graphics processing unit and Octa-core processor clocked at 2.0GHz. The Infinix Note 5 comes with pure stock Android 8.1 Oreo with no user interface. While you get MIUI 9.5 user interface laid on Android 7.1.2 Nougat for the Xiaomi Redmi 5 Plus. They’re both available in a 3GB memory with 32GB internal storage. While the Xiaomi Redmi 5 Plus has another version with 4GB memory and 64GB storage. Both smartphones come with a long-lasting battery that can take up to 9 hours of heavy usage. On the Infinix Note 5 is a non-removable Li-lon 4500 mAh battery. While on the Xiaomi Redmi 5 Plus is a non-removable Li-Po 4000 mAh battery. They both feature fast battery charging technology and shouldn’t take more than 2 hours from 0% to 100%. The Xiaomi Redmi 5 Plus is sold for around $171 (N59,850) while the Infinix Note 5 goes for around $183 (N64,050). The Infinix Note 5 comes with bigger battery capacity and bigger front camera pixels. Both smartphones offer good quality-price ratio. So it all depends on preference, are you a Snapdragon or MediaTek fan? For me, I pick the Snapdragon-powered smartphone.